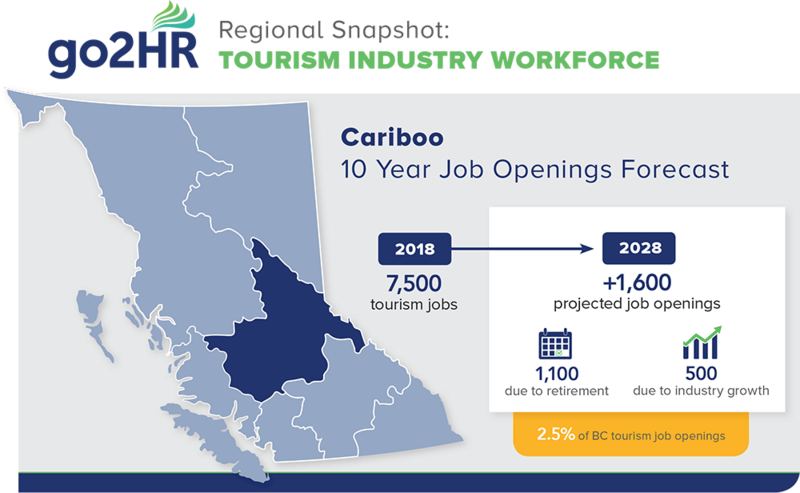 The Cariboo region is susceptible to recruitment challenges as a result of its rural environment and lack of a major population centre. By 2028, it is anticipated that the region will have 1,600 job openings. The food & beverage, accommodation, and recreation & entertainment sectors will be the hardest hit.